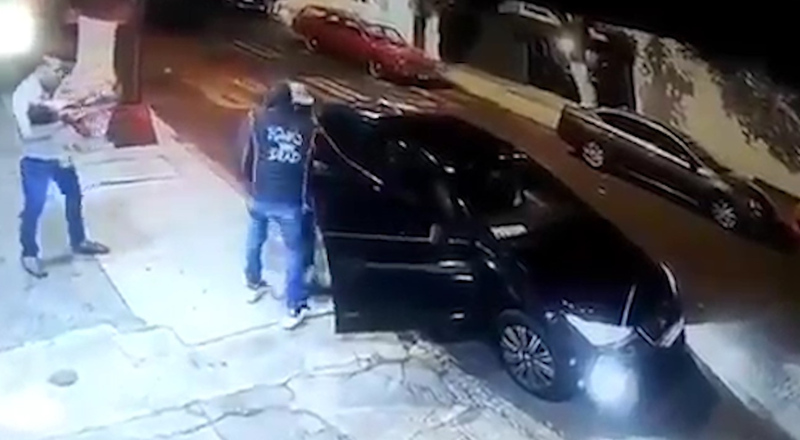 This is the shocking moment three thugs rob a man who is busy putting a baby into his car before driving off in the vehicle. 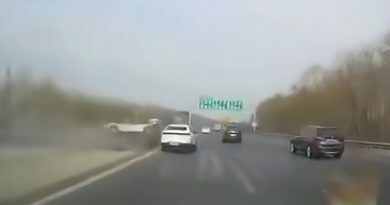 In the footage, a young dad wearing a white shirt is seen bending down to strap the baby into the car’s passenger seat when three yobs suddenly surround the vehicle. 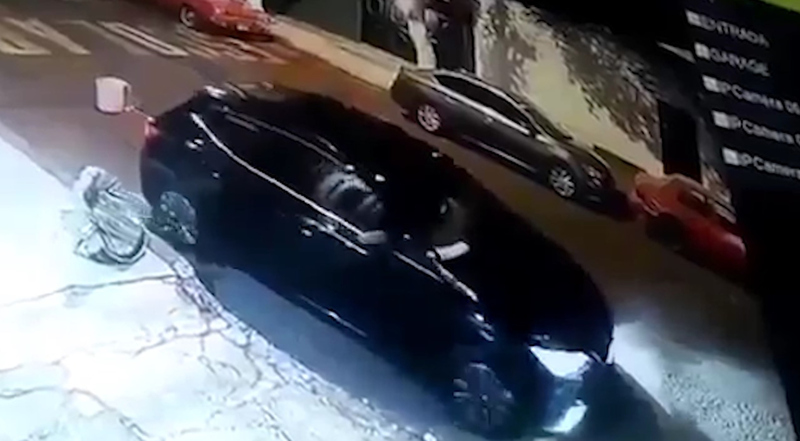 The thieves appear to tell the victim to take his baby and move away from the car as one of them jumps into the driver’s seat. 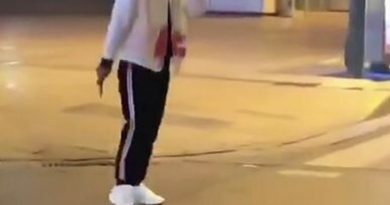 Meanwhile, the other two thieves rummage through the victim’s pockets and one of them dumps the baby seat onto the pavement. 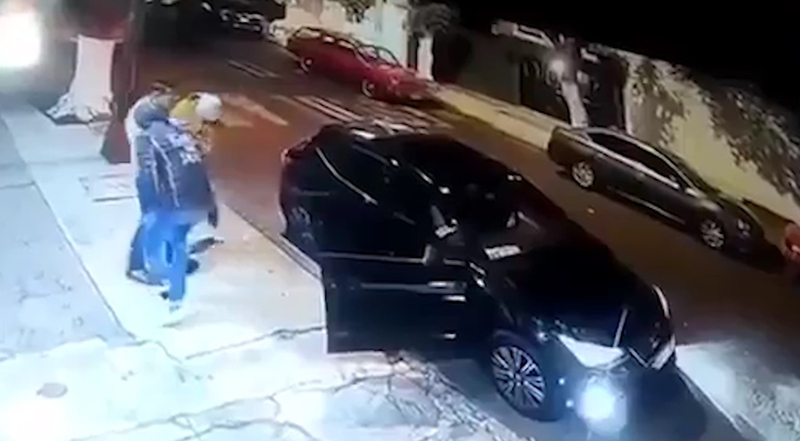 The two men then jump into a silver car parked across the road. 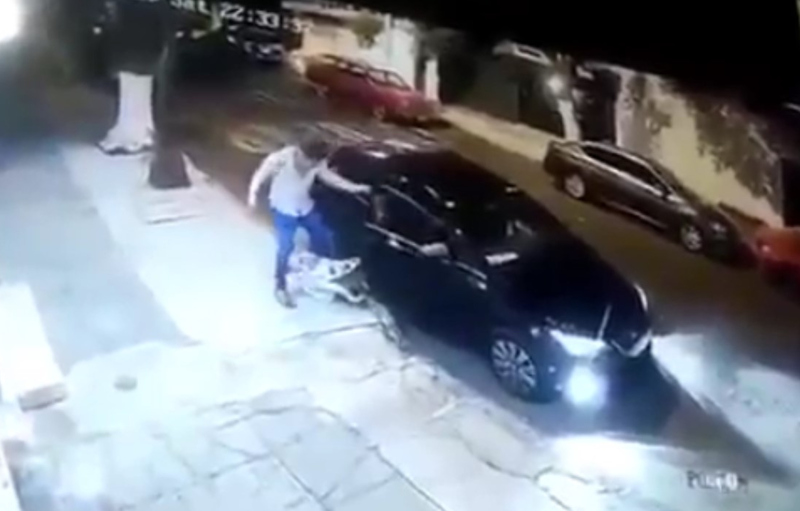 At the end of the clip, the thief in the victim’s black car is seen driving off. 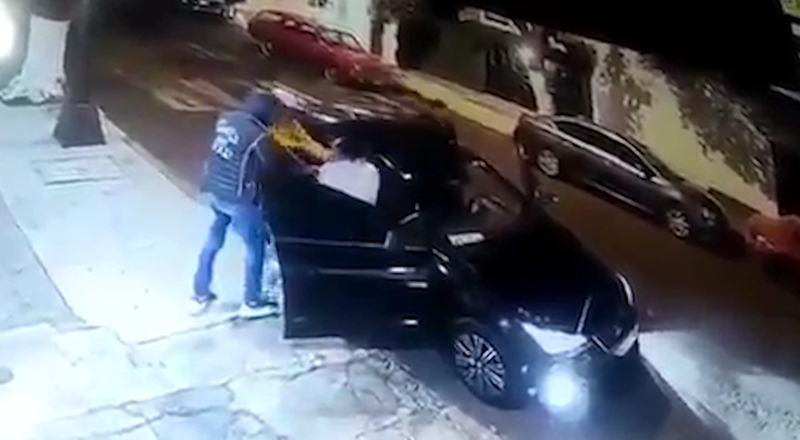 The incident took place at around 10.30pm on an unspecified date in the borough of Azcapotzalco in the central Mexican capital Mexico City and was filmed by a nearby CCTV camera. The suspects also stole the man’s wallet and mobile phone, according to local media. 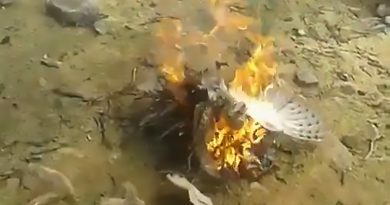 The local authorities have yet to confirm whether they are investigating the incident.